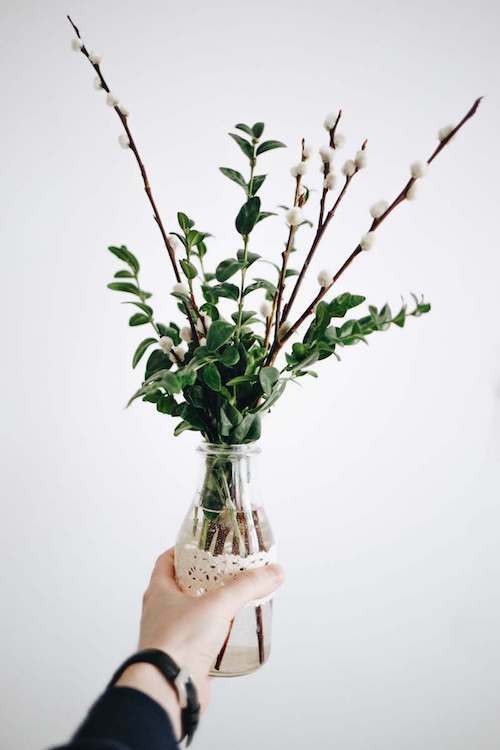 When you think of springtime, you probably picture decorations like flowers, pastel eggs and fake grass (that always manages to get everywhere). 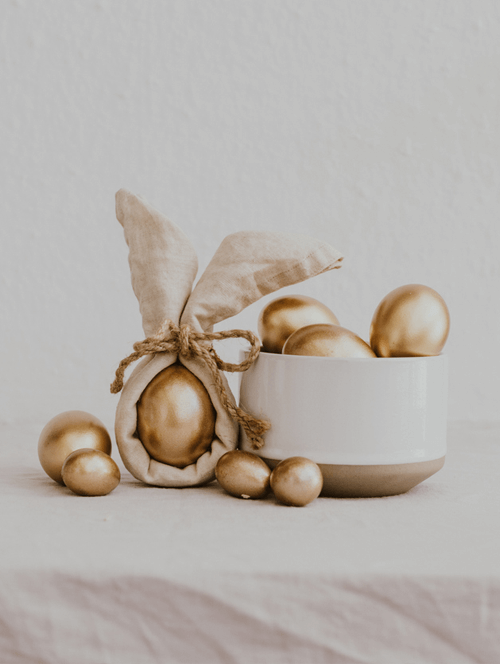 While there’s nothing wrong with enjoying the classics, we think this should be the year you take your table decorations up a notch! 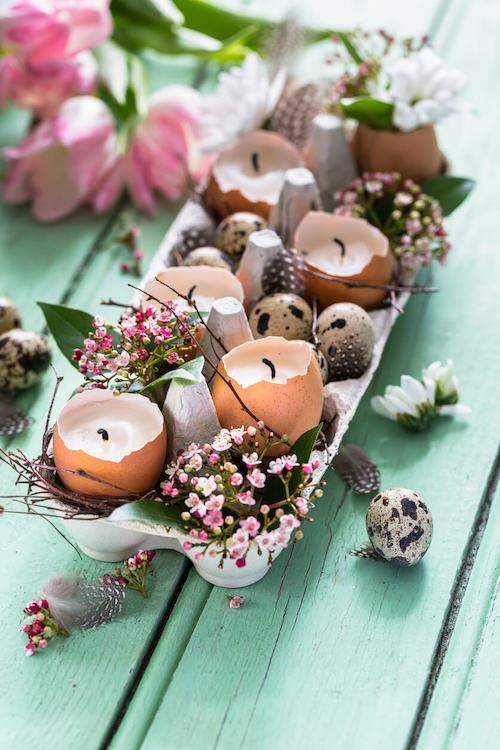 Because you can’t have a springtime gathering without eggs, consider making candles out of eggshells, wax, an egg carton, and decorative plants. Want to achieve a similar look, but in fewer steps? 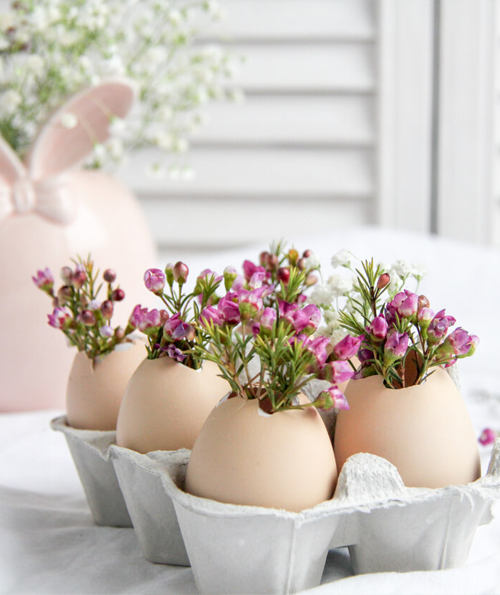 Skip the candles and fill your clean eggs with small plants, like baby’s breath, delphinium, or feverfew daisies. Typically, one palette rules this time of year— pastel. Break away from the baby blues and pale pinks this season and opt for a color with a little more pizzazz. Whether you’ve invited more people than you have matching settings for or you just want to play around with color and pattern, mixing dishes is a simple way to add drama to a table. Best of all, this ‘decoration’ doesn’t take up extra space on the table, making it a great idea for smaller spaces. Do you find yourself going a bit overboard with seasonal decorations year after year? Sometimes the simplest decor is the most impactful. With so many plants and flowers coming to life this season, stick with clean lines and Earth tones. 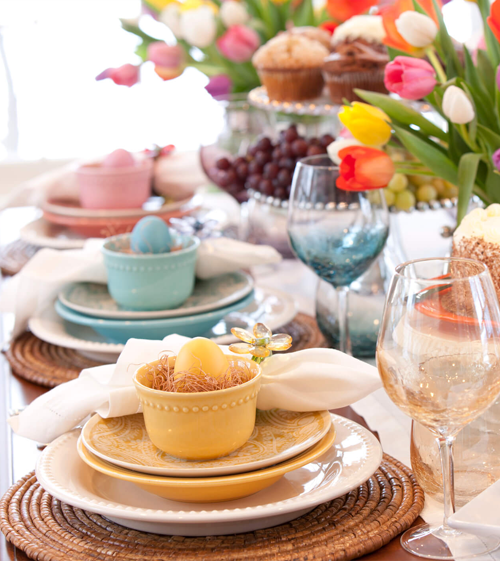 With so much to do before entertaining guests, holiday cleaning can put a serious damper on the spring festivities. Forget scrubbing your bathroom or vacuuming your floors — you’ve got a party to plan! Especially if you have a larger home, cleaning in preparation for entertaining can take a few days. When you turn to Merry Maids®, you can rest assured knowing guests will ooh and aah over your beautiful decorations and sparkling home. Call (888) 490-4227 or request an estimate online today.